We’ve had the pleasure to work on many of Doug’s fun project cars over the years, but this one is definitely the pinnacle of his collection. His car made it back down to us from his home in Illinois after only being back in his hands for a few months. 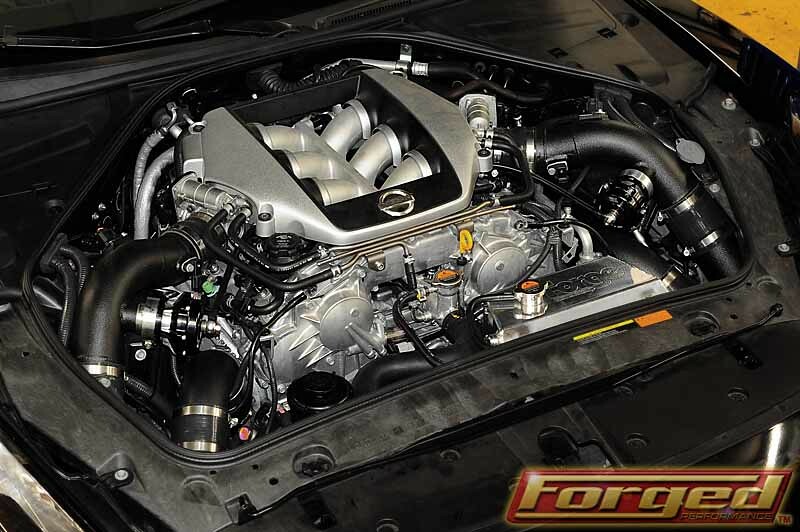 His previous 630 whp setup just wasn’t enough to satisfy his need for power. He wanted a true street monster that would wax just about anything in its path while still being a civilized daily driver. 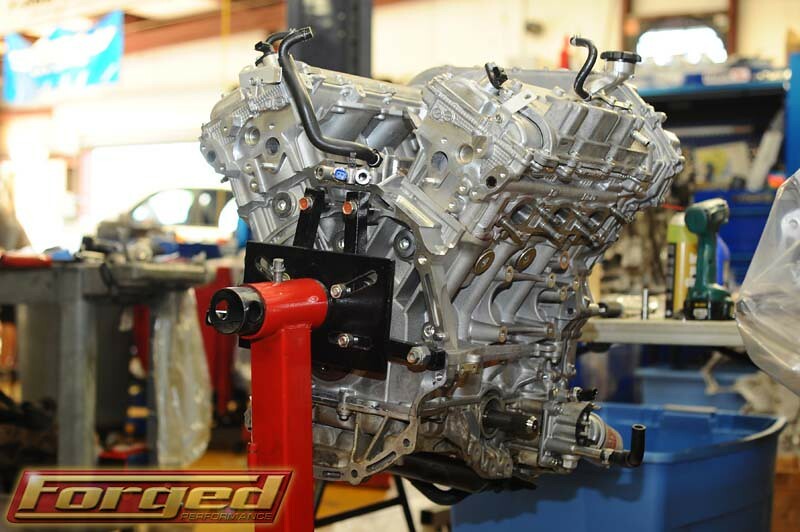 The heart of the build consisted of an AMS Alpha 10 setup paired with our FP1-R 3.8L in-house assembled power plant capped with a pair of our FP Spec big valve cylinder heads. With these power goals in mind, several areas need to be upgraded including the engine, transmission, brakes, suspension, wheels and tires…the works. 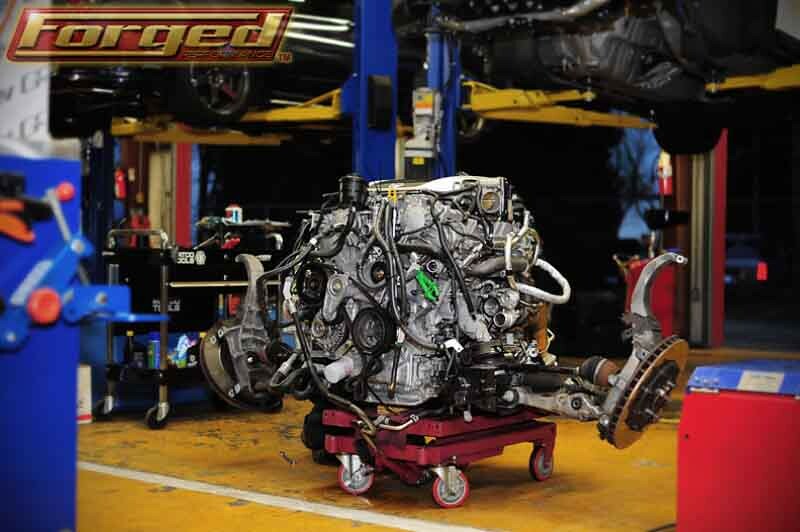 Many of you recognize our tradition of building balanced track worthy cars that can still be driven daily. 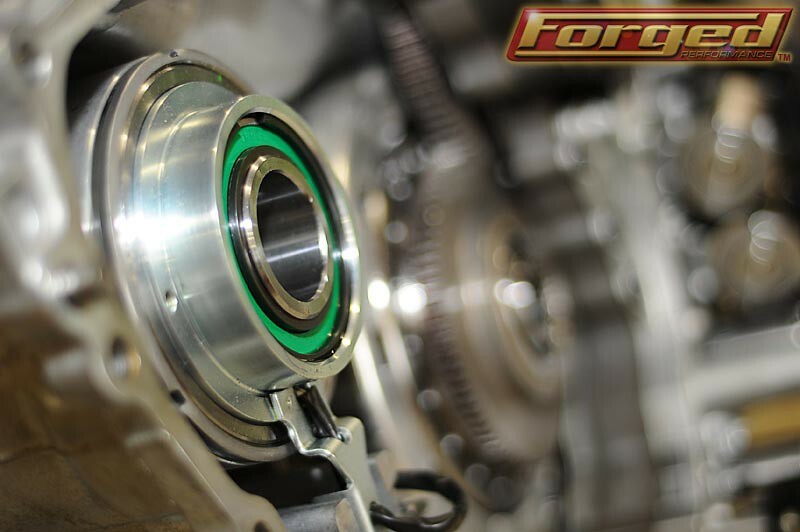 When tasked with building a very fast street car, our balanced philosophy is no different. 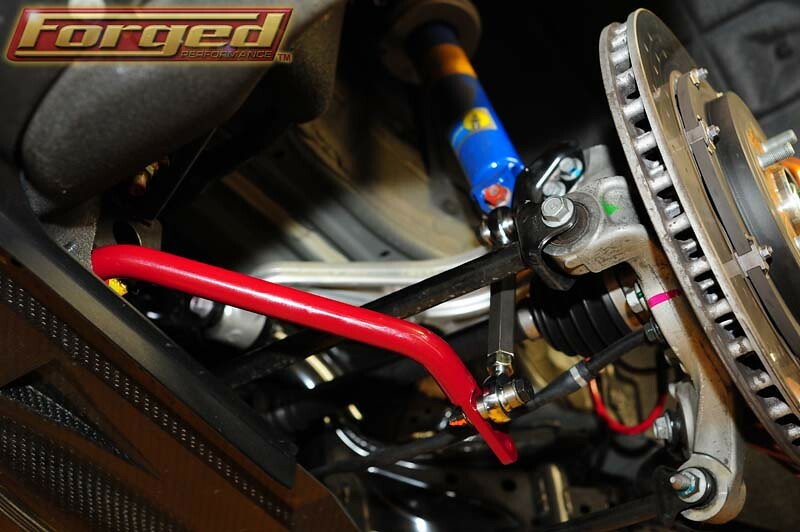 We added a properly sprung set of JRZ RS Pro Silent Edition Coilovers, our Forged Performance Extreme Performance Sway Bar Set with Racing End Links, Endless MX72 brake pads, and a custom spec’d set of 20X10 20X12 HRE wheels wrapped in a square set of Michelin Pilot Super Sport Tires 315/35/20. We even installed a discrete Passport 9500ci radar detector and laser jammer to offer some modicum of protection from the law. The acceleration is neck snapping while the handling remains razor sharp. 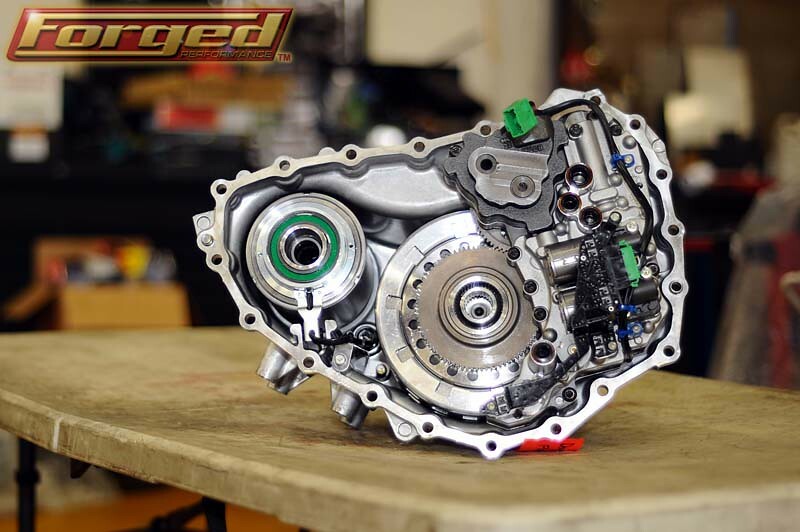 Our transmission shifts superbly on the upshift and downshift, responding instantaneously to the paddles. There is a lot to be said for a car that not only makes tremendous power, but can also effectively lay it down to the ground and that’s what we’ve accomplished here. While we were planning this project, we knew this car was going to be a beast, but we weren’t quite prepared for the end result, especially since we consider this a fast spooling balanced daily driven setup. After Sharif worked his magic in front of his Thinkpad, we made an incredible 838 whp @ 24psi on 93 octane on our low reading Dyno Dynamics! 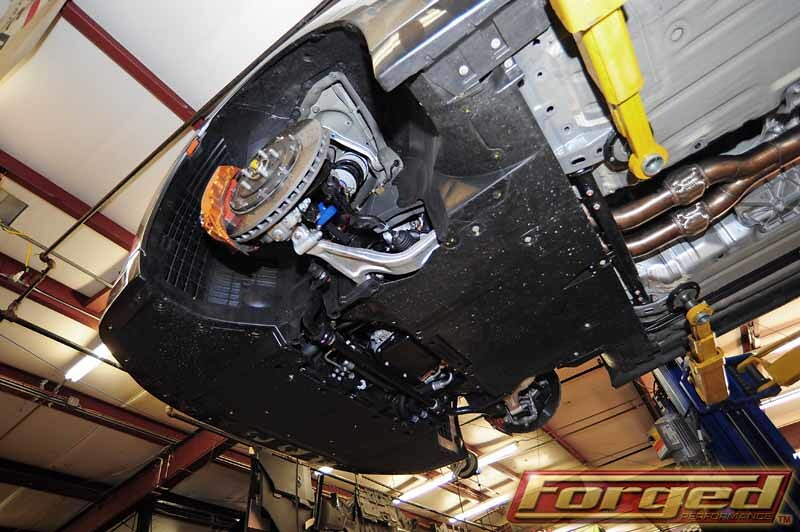 Like most shops that use unlinked dyno rollers, we ran the car in 2wd mode in order to preseve the front drive clutches. 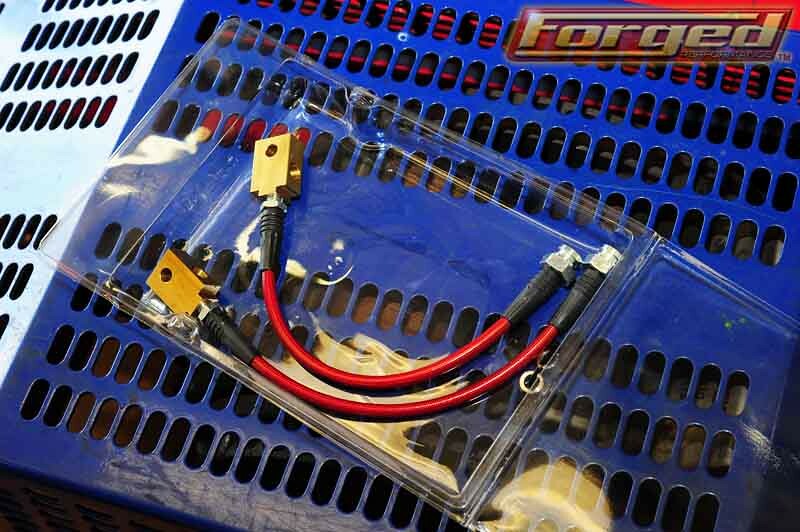 We were not 100% sure, so we had to confirm with AMS that this was in fact the highest WHP Alpha 10 on 93 octane to date. This car also made 957 whp @ 30psi at 8000rpm on C16 before our dyno gave out. Until we update our dyno software and run larger gauge power cables to the dyno, It appears we are going to have to go to another local dyno to complete the race gas tune on this monster. 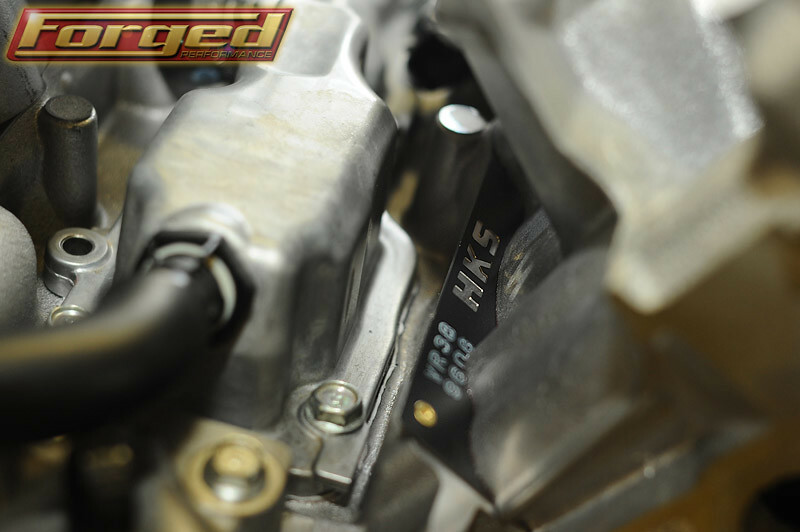 Stay tuned for updated race gas numbers in the near future! With 5psi left to go, it’s no doubt this beast has more room to run. 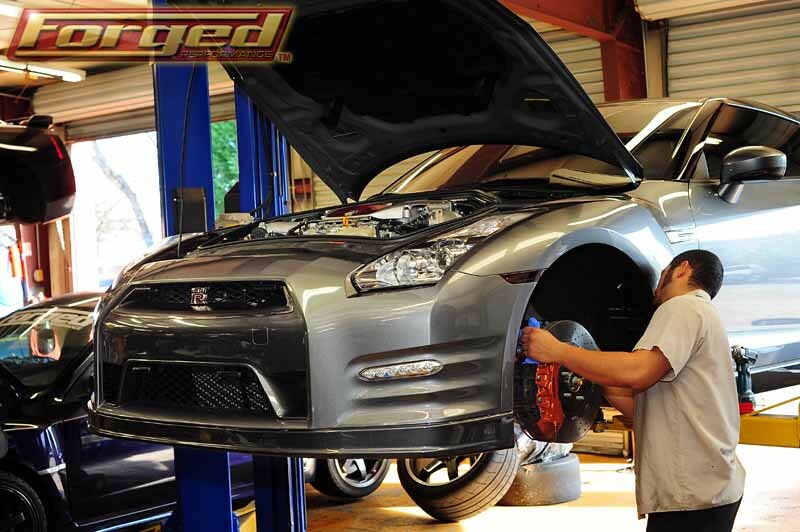 We were recently contacted by Sharrod, a long time customer of ours for another round of modifications on his 2009 GT-R. 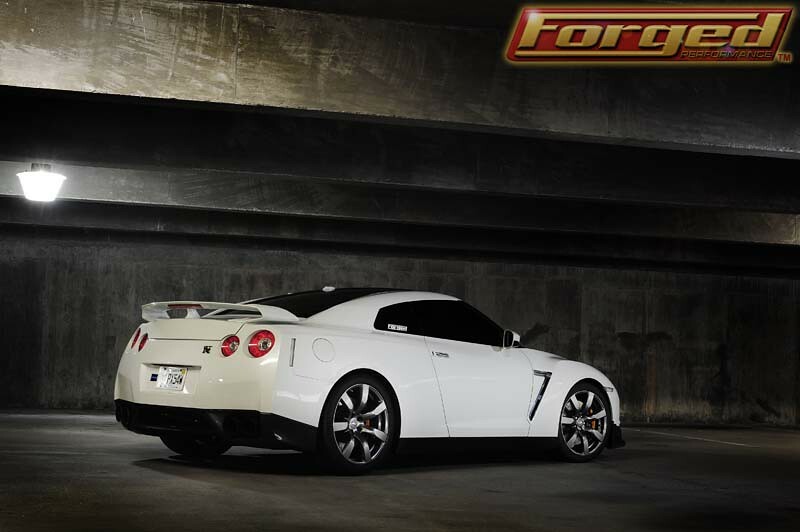 Previously, he had a CBRD 76mm y-pipe, a Cobb AP, and a Forged Performance custom tune. Although he was very happy with his current setup, he was ready for some more power. 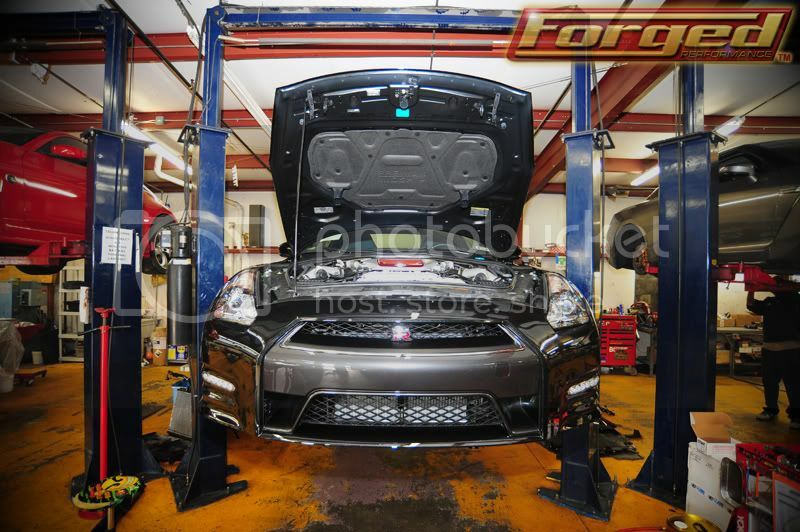 The initial plan was to bring the car down for a handful of bolt on upgrades and retain the factory turbos. 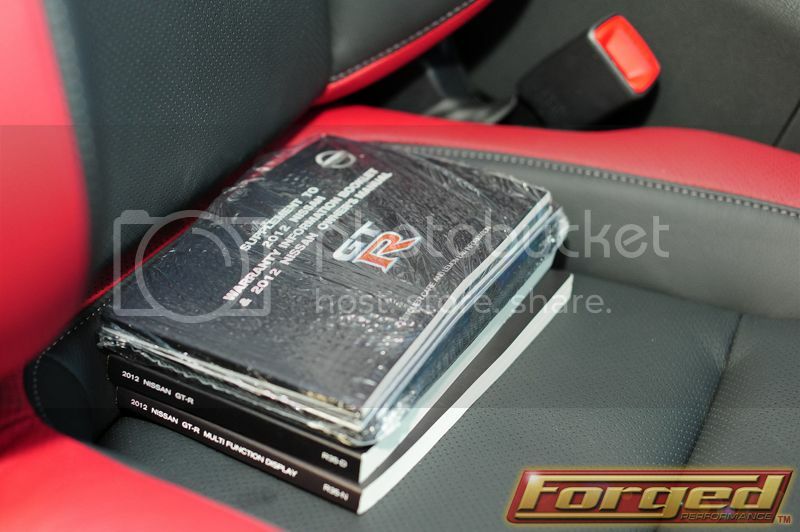 However, upon arrival we discussed his power goals and his expectations of what he wanted out of the car. 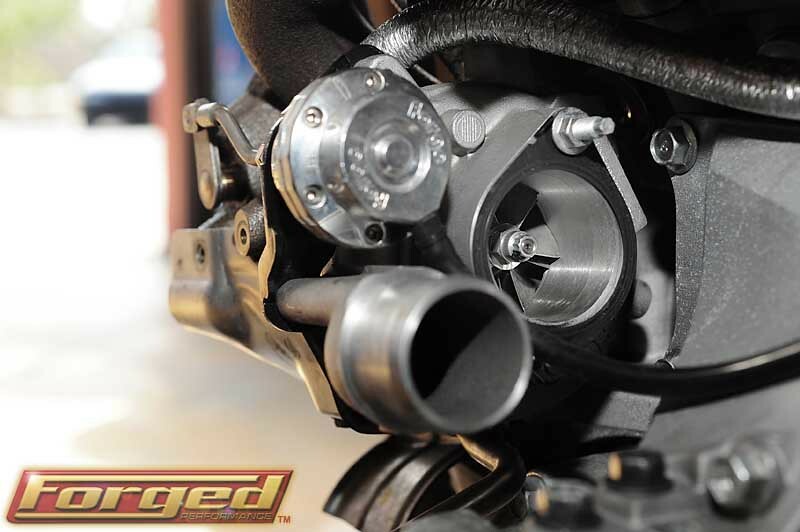 We concluded that a turbo upgrade was in order. The car is used almost entirely for daily driving reflecting the nearly 30,000 miles on the clock, so response was a big factor. 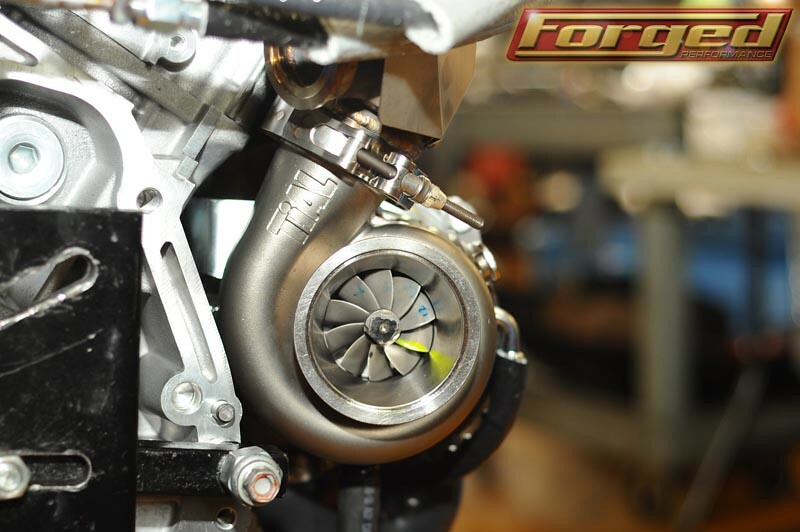 Fortunately, we happened to have a set of AMS turbos in stock. Sharrod agreed to the upgrade and we quickly got to work. After about a week of hard work and late hours the installation was completed and ready for Sharif to work his magic. 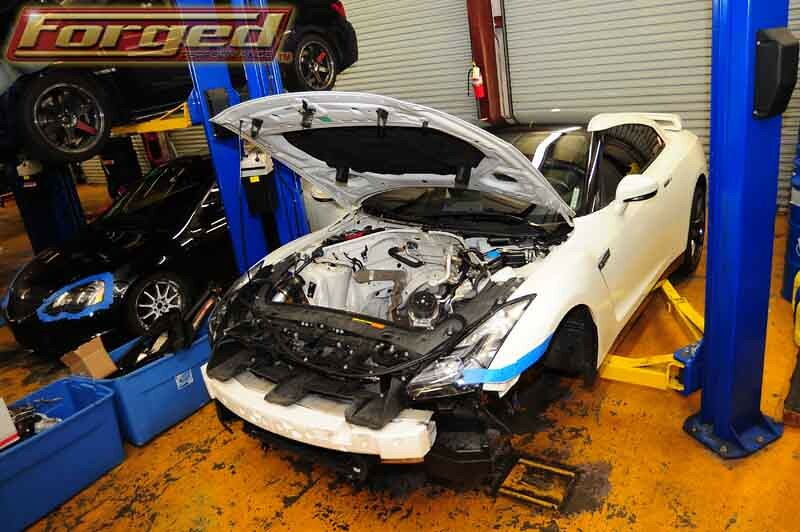 With Sharif pecking away at the keyboard before his flight to Dubai and Kuwait (tuned 12 GT-R’s on that trip), the end result was 676 whp/93 octane as measured on our low reading Dyno Dynamics dyno. 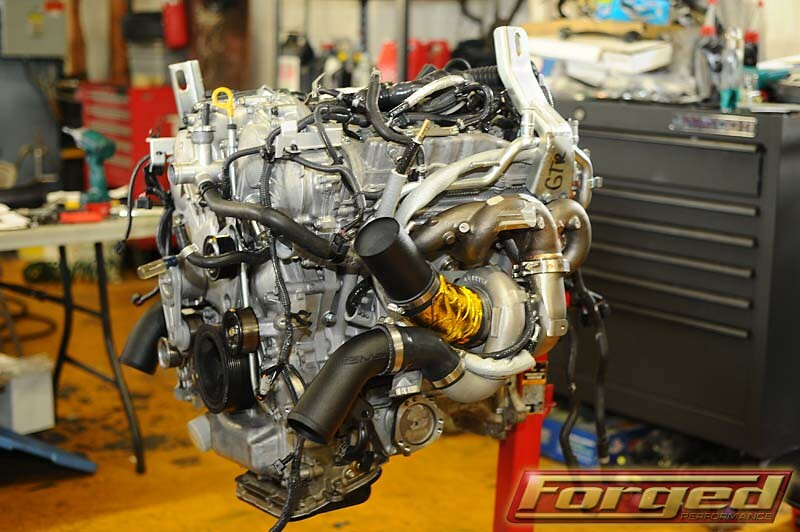 For reference that is about 130whp above our FP600 setup, and about 280whp over stock! 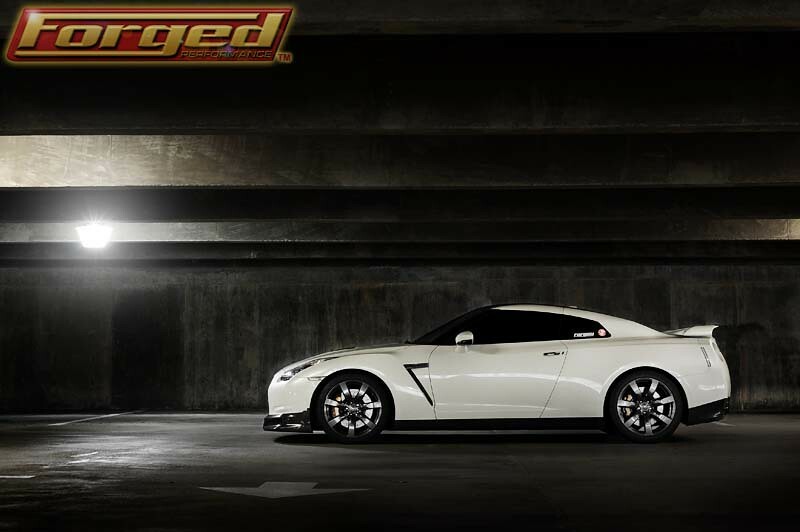 Sharrod’s GT-R has been transformed from a tame fun car to a daily driven street monster. I’m sure the new power will take some time to get used to. Modification list and pictures below! 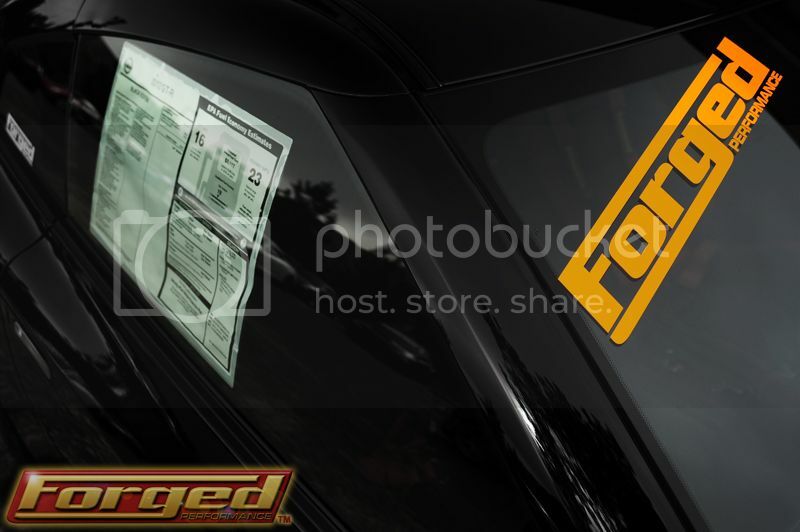 Here are a few photos from the install process and a photoshoot that I did for the customer. 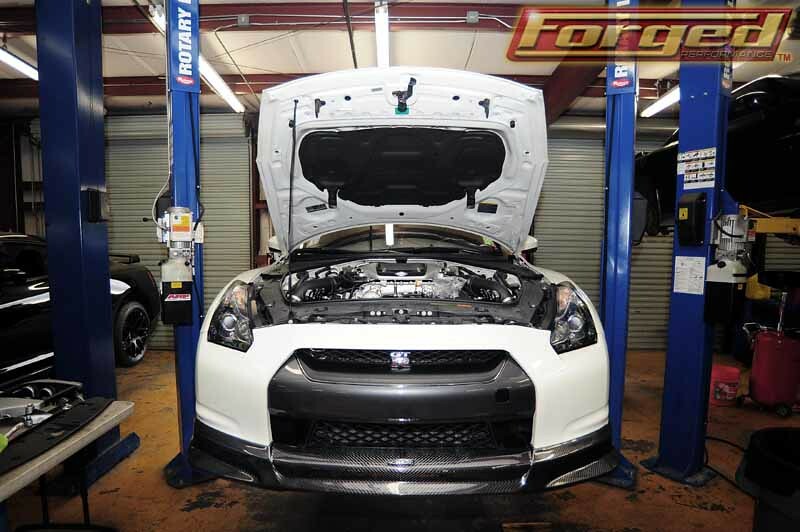 This week one of our repeat customers brought his FP600R equipped 2012 Black Edition GT-R back to us for some modifications to the suspension and braking portions of his car. 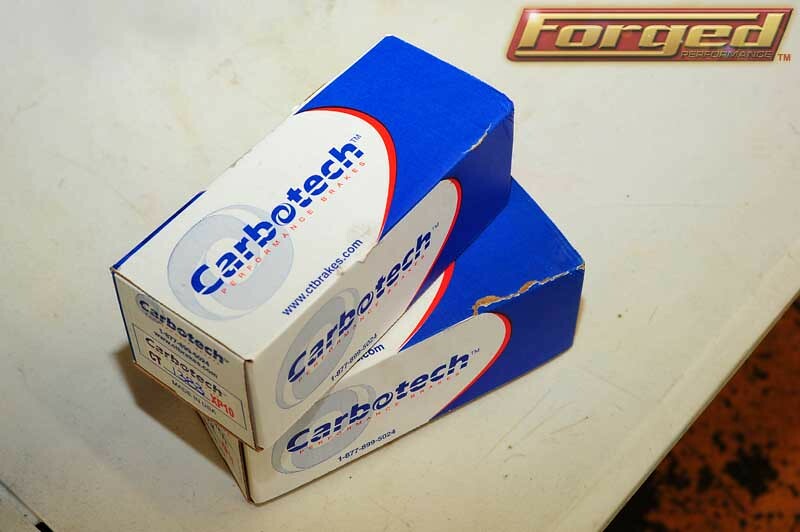 With the upcoming track season approaching us here in the south he wanted to make sure his car had the necessary components to handle the aggressive corning and braking he’ll be encountering at Road Atlanta and our other regional tracks. 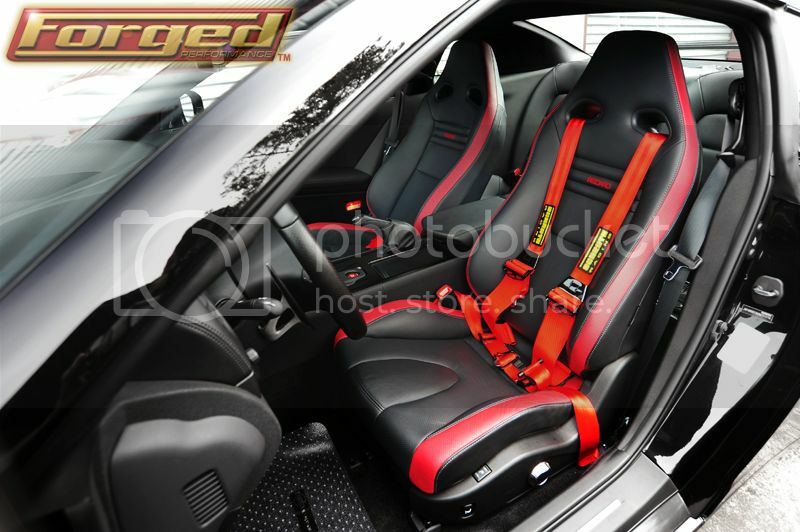 After a short conversation with the owner it was clear the best choice for his car was the Forged Performance Entry Level Track Package. 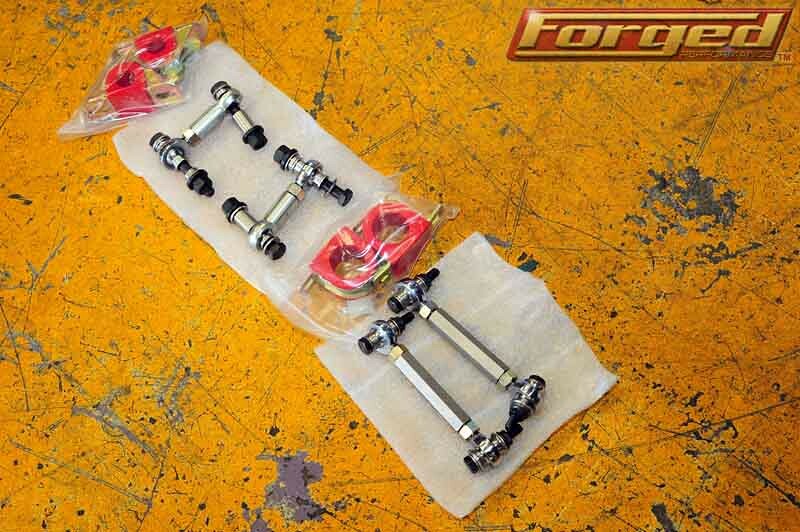 This proven and cost effective combination reduces body roll, improves handling and increases stability all while maintaining OEM ride quality with help from the adjustable FP Sway Bar Kit and solid end links. 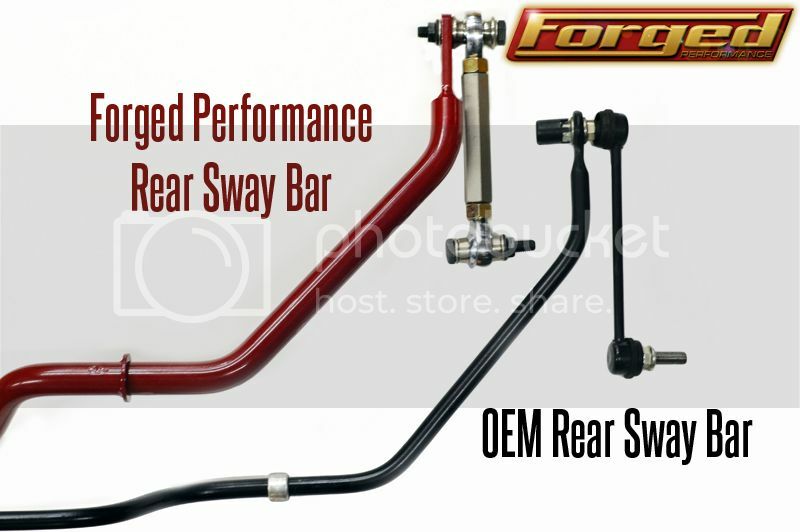 The OEM sway bars, particularly the rear are down right tiny. 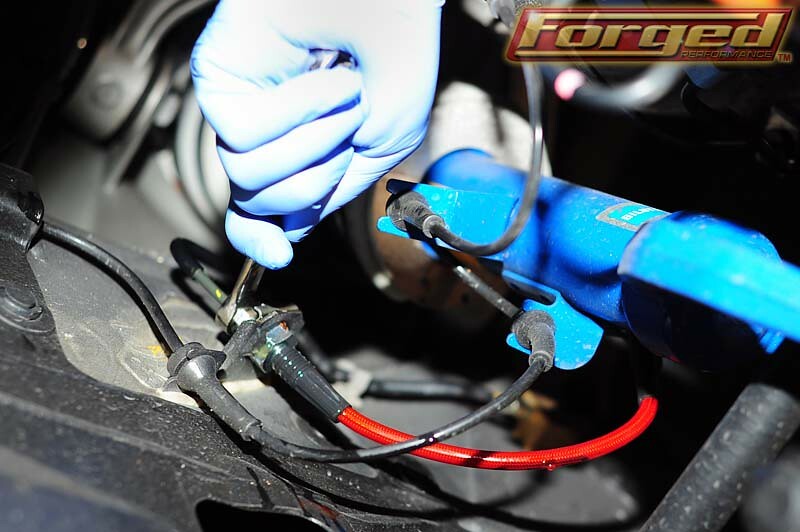 Adding the FP brake lines, pads and fluid results in an increase of stopping power while significantly reducing brake fade. The initial bite on the XP10 is tremendous and well suited for a fun track day car that still sees street duty. 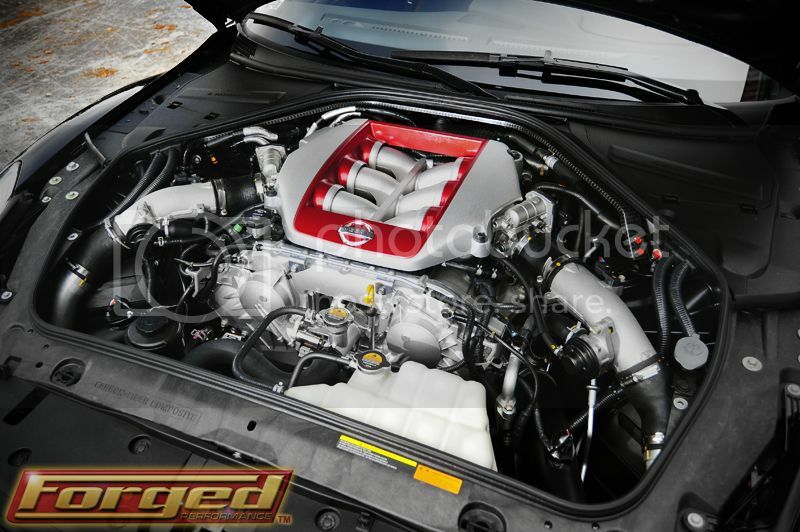 This package is a must have for any GT-R enthusiasts that is looking to take their tracking experience to the next level while keeping stock-like street manners. No increase in noise, harshness or vibrations which which is always a good thing. One photo from the cars last visit here, this basically brand new 2012 Black Edition is just stunning. 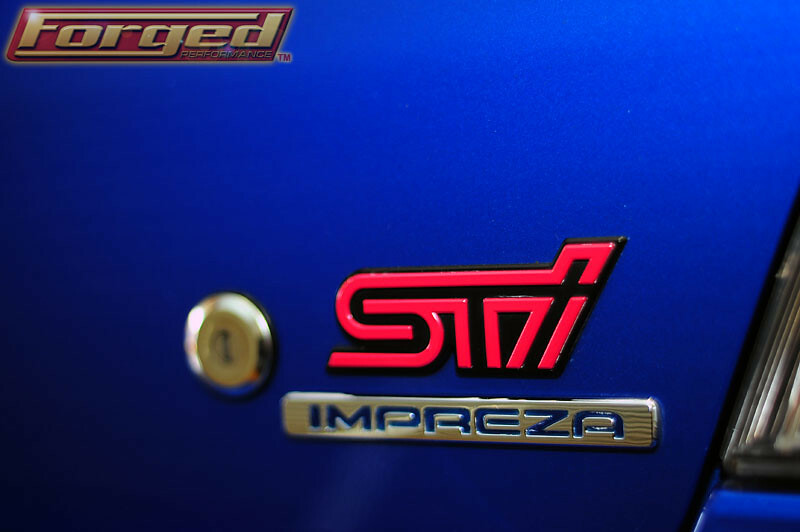 Yesterday we had a local customer drop his gorgeous 2007 World Rally Blue STI off to us for a few upgrades and a Forged Performance Custom ECU Calibration. Chris has worked with us on multiple Subaru projects in the past and has returned with his newest toy. This was not a full build by any means, but I was drawn to this particular Subie because of its superb condition and high quality parts. Mid range power was improved across the board as well as the over all driveabilty of the car. 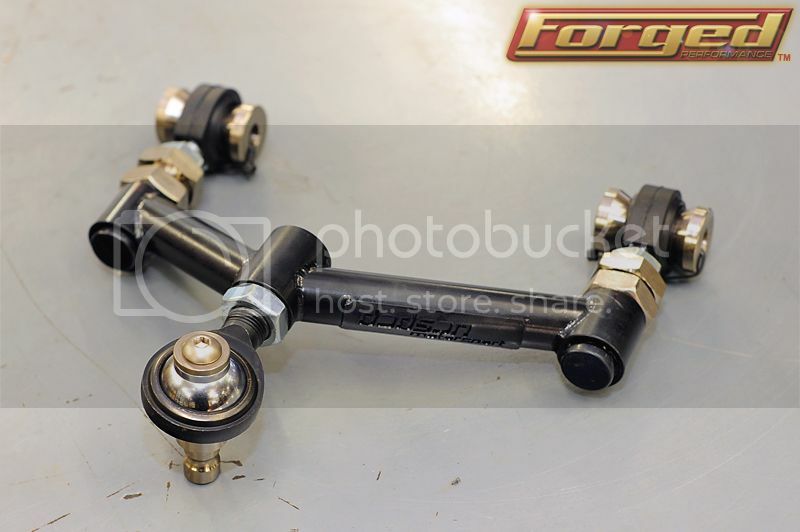 Subaru’s OEM tune is far from horrible but, they also leave a lot on the table when it comes to making power. 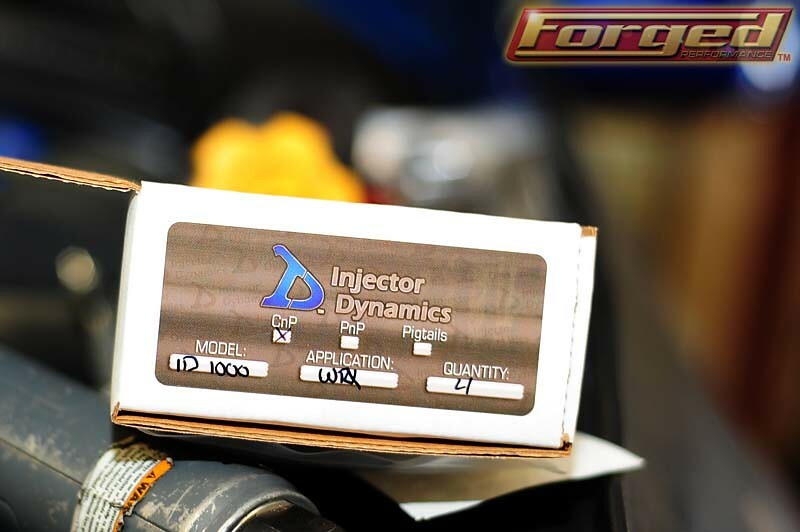 With Sharif working his magic via the Cobb Accessport this mildly modified STI was able to pump out a very healthy 285whp and 300wtq on our heart-breaker Dyno Dynamics Dynometer which is a vast improvement over the stock 200-210whp. Posted in: Motorsports Division, Shop News. A couple of weeks ago, a customer contacted us because he was looking for some assistance with his One Lap of America set up on his new GT-R. A week later, we received a beautiful 2012 Black Edition GT-R straight off of the show room floor with single digit mileage and window stickers intact. 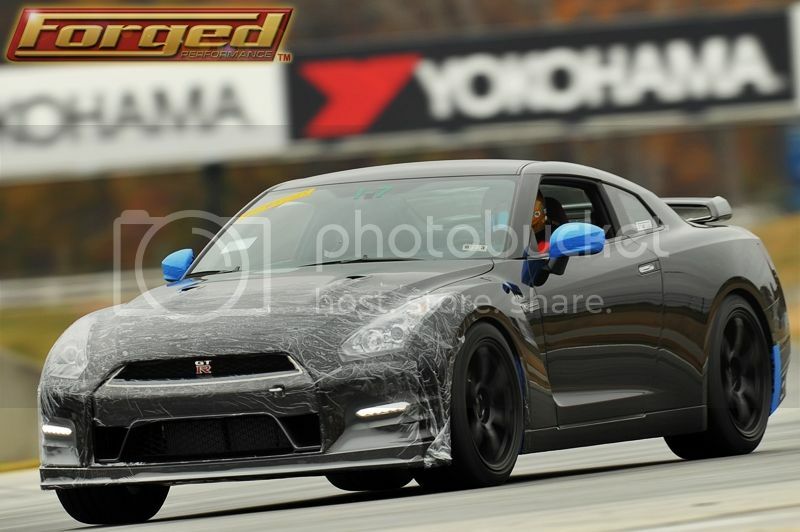 After consulting with the customer, and assessing his goals and budget we developed a very cost effective plan for an outstanding weekend track package while still maintaining 100% of the OEM comfort and safety features inherent in the GT-R.
Before shipping the vehicle back to our customer we agreed that a track test would be essential to insure the car was perfectly dialed in and setup to compete at next year’s OLOA event. 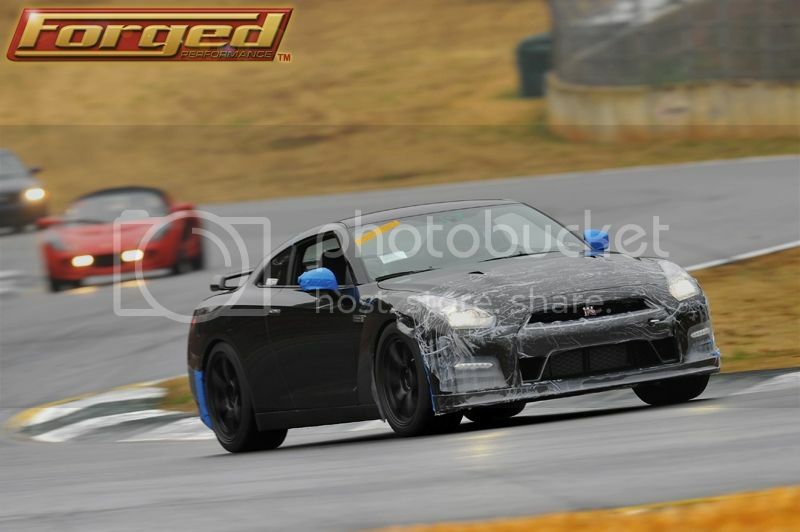 With the customer’s blessings, Sharif tested the vehicle at Road Atlanta for final track adjustments and confirmation of our work. There is always something unnerving about taking a customer’s brand new car to one of the most dangerous tracks in North American and pushing it to 10/10th’s. But with thousands of laps around Road Atlanta, Sharif quickly and safely confirmed the setup with only tire pressure adjustments in between hot laps. 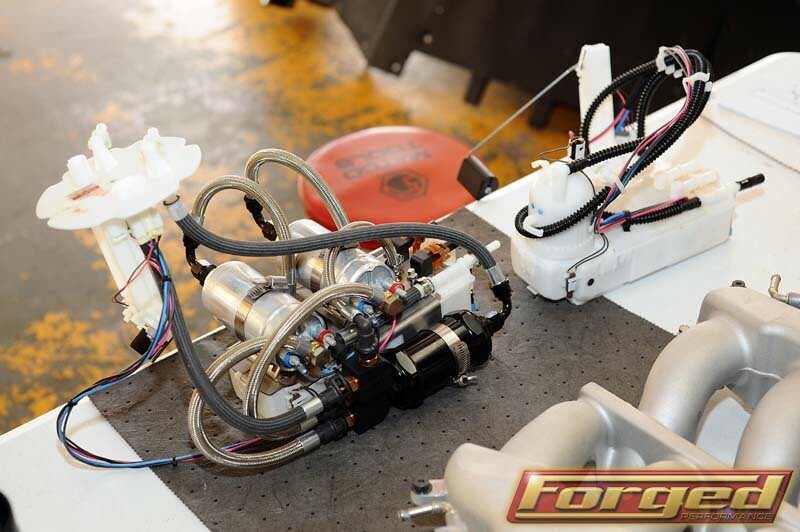 Sharif programmed three different road course calibrations during the dyno tuning process which are, naturally, switchable on the fly. 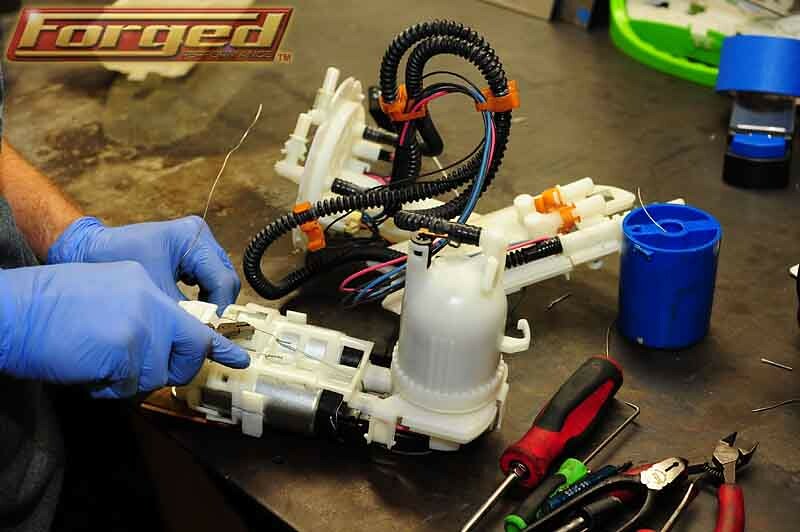 During testing, he only used the lowest boost map which is comparable to the factory delivered boost pressure. Remarkable, even with stock shocks the car handled superbly and Sharif emerged from the car with a big smile on his face. With stock boost, in traffic on a damp track, 1:33 laptimes were had. No doubt with open and clear track this fairly mild build can easily see 1:32’s or better. 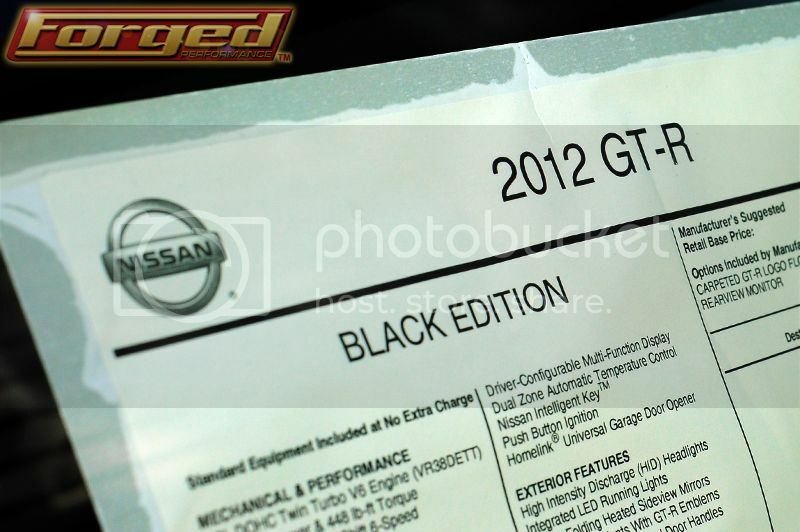 For comparison, our track prepared GT-R runs 1:28’s. At the end of the test, we felt confident that the owner would be very happy with the car’s performance and handling characteristics. The car was very easy to drive which allowed very early application of power and a confidence inspiring transition from turn to turn. 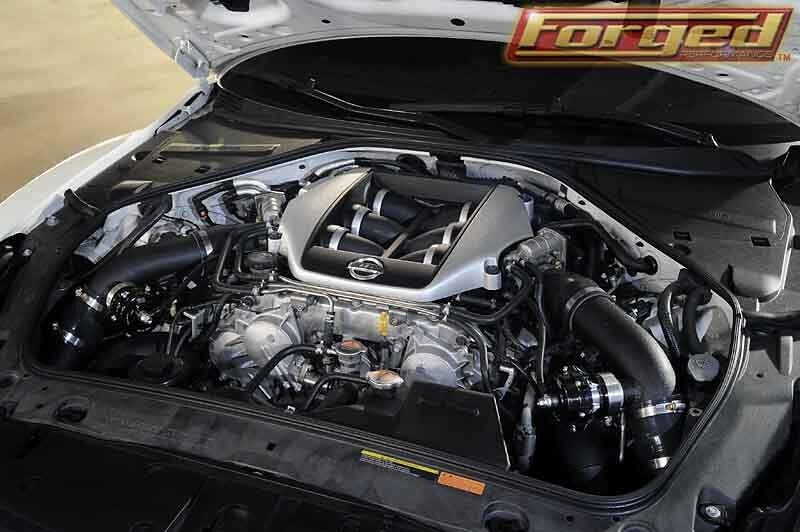 Nissan made 100’s of small changes to the 2012 GT-R that in total have resulted in a much improved driving experience out of the box. 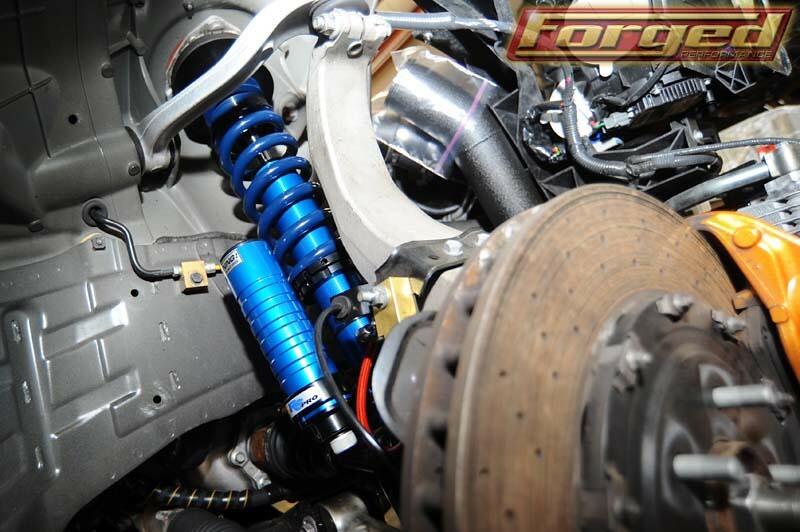 With the Forged Performance track treatment, the good work became great! 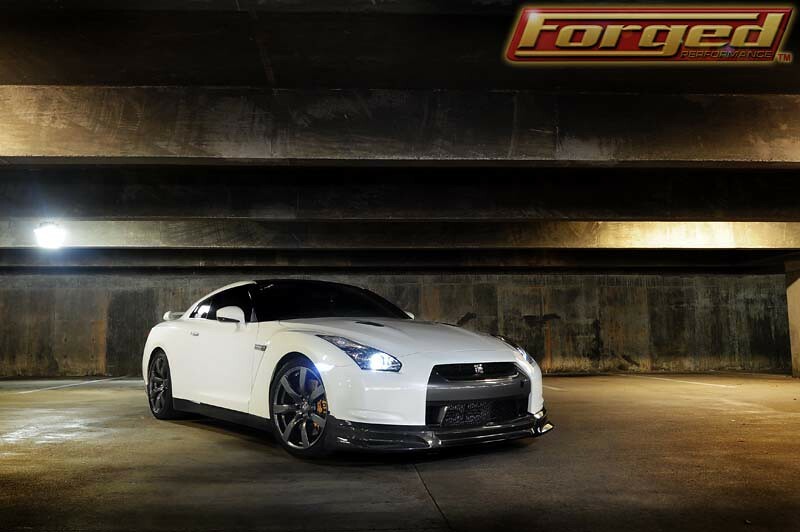 The biggest improvement we feel, comes from the awesome Michelin Pilot Super Sport tires and our Forged Performance Sway Bar kit. 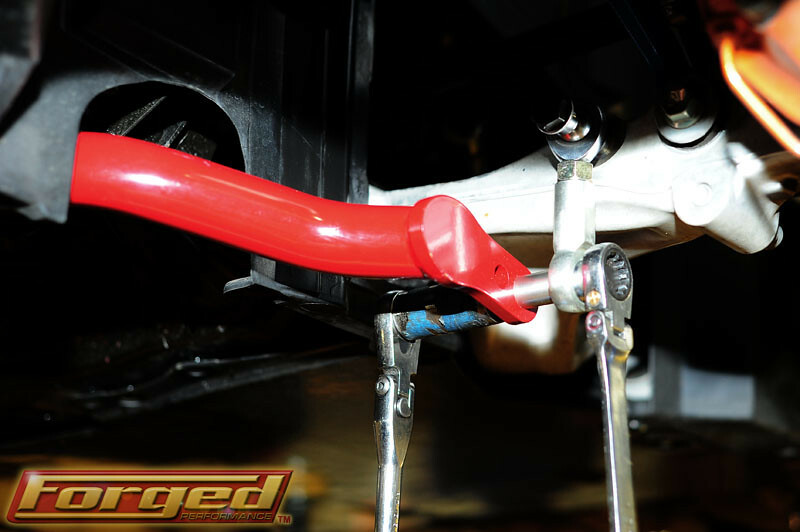 Our large bars with solid race grade monoball end links really help tighten up the suspension in the corners while allowing enough flexibility for good transient response. 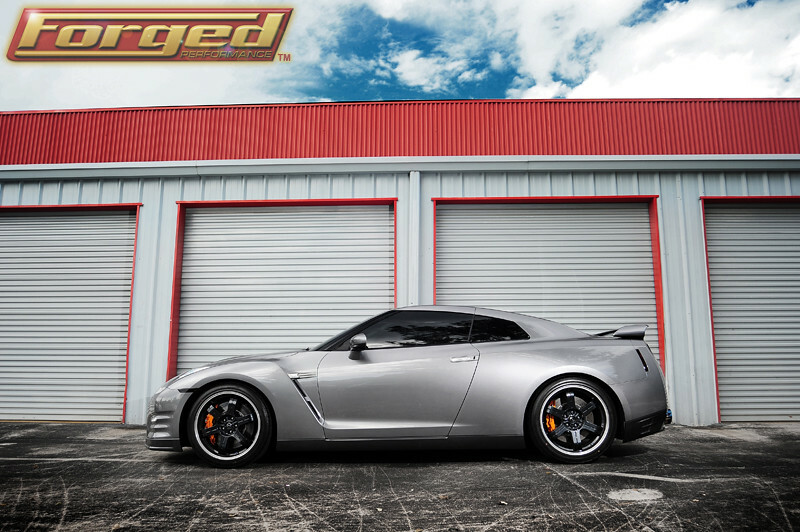 With a few key suspension mods and without breaking the bank, this is a terrific entry level track package. Thanks for looking.